Earlier this month I put together two surveys intended to gather self-assessments of the level & kind of prep work GMs did. Originally I focused on sessions, but many commented that campaign prep fed into their session prep style. So I created the latter survey with aid from several people. Yesterday I closed out the surveys and downloaded the info. I haven’t had a chance to seriously dig through it yet, but I wanted to put the raw data and a “graphic” version out for anyone to look at. I’d thought about this project for some time, but RPG Blog Carnival topic, "How and Where I Write and/or Game Prep. ", created by Leicester's Ramble pushed me to put it out there. Keep in mind this survey’s rough and unscientific. It has no controls, the question wording hasn’t been checked, and there’s some serious limitations to the format. So why do it? Because I’d seen many threads about prep online. Often they escalated into a game of one-upmanship. If someone talked about having done a ton of work for a session, commenters would pop on to say they’d done more. Threads about “prep light” approaches had wildly differing definitions. Sometimes participants engaged in a race to the bottom to declare no or negative prep. I understand those kinds of comments. We feel strongly about the process we’ve invested in. I wanted to see, removed from comparison signposts, how GM’s self-assessed what they did. We ended up with 313 responses for the Session survey and 106 responses for the Campaign survey. I have three documents for those interested in the details. Survey Monkey generated two compiled pdfs of the data. You can get the Session Prep material here via Dropbox. You can get the Campaign Prep pdf here. I should note that weirdly the former includes the “Other, Please Specify” details, but the latter does not. I’m not sure why it generated it that way, I suspect there’s a space question (I wouldn’t let me output whole indivual response material as a pdf due to those limits). I’ve also put together the individual responses and details in a Google Calc table. If you’re looking for the crunchy bits and associative data, check that out. I’ve stripped out IP identifiers, but left the comments intact. Feel free to check out and play around with this data. 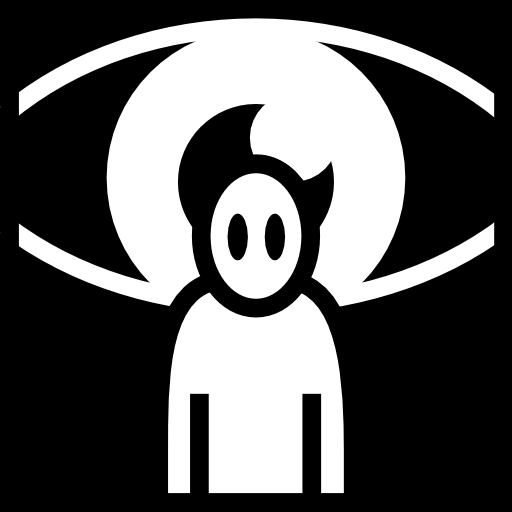 Consider it released under Creative Commons Attribution-ShareAlike 4.0 International. If you post something about it, a link back to the blog and a heads up would be appreciated. I hope to offer up my own thoughts on this in the next week or two. Thanks again to everyone who took the time to fill out these surveys. I know they weren’t quick, especially the Campaign Prep one. I might try something like this again the future. If I do I’ll definitely crowd-source the questions to get a tighter approach. I'm still recovering, but the arm's letting me work a little longer at the computer. I wanted to put something up, so I thought I'd post a project from 2010 that ended up not going anywhere. Gene did some pages for it, so I've posted a couple of cutaways from that. Right now, I'm thinking I'm thinking about how I might rework some of this into a gaming set up. Maybe for an rpg or a board game....I've sketched out a couple of things. In any case, this is the two page pitch I put together for this fantasy animal-based story. 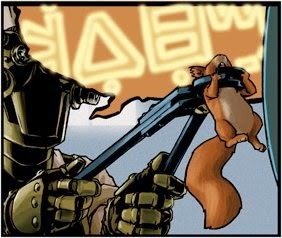 Awakened to awareness and intelligence, the squirrel Kinder escapes from death into a new world. He gains sanctuary among a band of animals-- also transformed by accidents of human magic-- living in the walls of a sorcerous workshop called the Codici Malefactus. But these mages are not benevolent and discovery of the escaped animals means destruction. Kinder finds himself isolated from human and animal alike, trying to survive and avert disaster spawned from the very magic which created him. 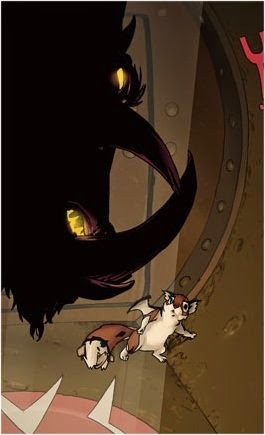 The Rats of NIMH in a maleficent Hogwarts. Here Kinder sees a host of animals, all showing signs of the transformation-- a bizarre menagerie of woodland creatures partially overlaid with the bits and pieces of nightmarish monsters. Brought before the leader of the group, Wrethe, the squirrel learns of the animal's origin and of the magic which created them. However his own revelation startles the assembled group. Each gained knowledge and weird changes over time, but Kinder awoke in a single transformation. A greater shock greets the accidental revelation that he understands the humans' speech. While some look on Kinder with wonder, others fear his difference. In the days to follow he begins to understand that even here he remains an outsider. But news of Leather's impending destruction shocks him out of his self-pity and into action. In the far background, outside the walls of the Codici, hangs the conflict just past-- a battle between practitioners of this new summoning magic and the old ways. On one side stood a magic capable of permanence requiring study, cost and intense labor; on the other stood the new magic quickly learned, free to use but remaining temporary. The humans of the Codici Malefactus present another rich set of characters, as potential allies, adversaries and background color. The “Students” serve more as servants and apprentices, forced to learn bits and pieces of what they consider a failed art. They seethe with resentment and youthful power politics. They know they have a gift for magic, but find themselves stymied in their quest for greater power. Most dance between undercutting their masters and trying to curry favor. The master resent their place here-- dealing with unruly apprentices and eking out time for their own pursuit of power. Only the mysterious guild mistress, Sulhara, holds them in line. Even she serves still another master, the Overlord, who far away carries out his own plans to bring all of the world under his thumb. Perhaps the most ambiguous human character will be the boy who aids Kinder in the beginning, Nevral. He possesses less of the magical gift than the other apprentices present. This makes him a ready scapegoat. His concealed strength lies in his ability to focus and to study. Where others glide through on sheer native talent, he works for his victories. As a result, he may understand more fully the very magic the others wield so easily. The developing relationship between Nevral and Kinder will be an important one to the course of the story. Long-term Story: Kinder must uncover a way to stop to the spirits' plan for the destruction of everything. 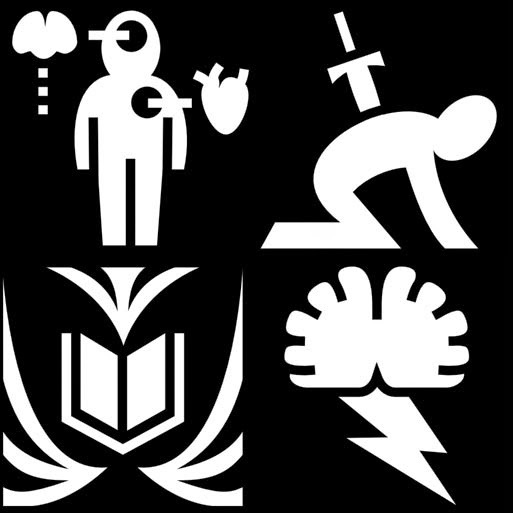 So I had several things in the pipeline for this week: the next History of Post-Apocalyptic RPGs list, an update on samurai games I'd missed, and some discussion of how I've been using the Icons in our 13th Age game. Then I hit an icy patch on Friday and went down hard on the sidewalk. Had to bump the whole weekend's worth of games. Today's the first day I've been able to work at the computer for any significant time without effing agony in my left arm. I'm hoping to rope a guest post, but otherwise expect it to be light. Not that anyone checks these things, but posts like these are good for my ego. This week the Play on Target podcast looks at the GUMSHOE system from Pelgrane Press. As I mention in the episode we opted to do the broader GUMSHOE system first. We want to showcase what it does and debunk some myths about it. In the future we may put together GM Jams about particular iterations of the system. For this episode we gathered together four amazing GMs to talk about their experiences. They discuss what the system is, how they’ve used it at the table, and what they’ve gotten from it. If you’re enjoying these GM Jams (or not), give us a heads up. If you have suggestions for specific games or settings we should cover, tell us in the comments. Our aim with these is to help new gamers decide if these are for them and give GMing advice to those already running the system. We mention this towards the end of the episode, but it’s worth stressing. GUMSHOE games aren’t necessarily about solving a mystery with a capital “M.” They’re about gathering information for a purpose. In that way they’re like most games. Players usually work towards figuring things out- about other people, about the broader situation, about a dungeon they’re going into. I suspect that happens in most games, with some stressing it more than others. GUMSHOE pulls that out and makes it a focal sub-system. As Steve mentions, it offers an interesting way to handle the flow of information and give players a connection to it. Various GUMSHOE versions aim at different kinds of info. When I look at Ashen Stars, I see a game where the players examine problems and figure out fixes. They’re not coming to an ending accusation scene in the drawing room. Instead they have to learn about various possible solutions and figure out which works best (or causes them the least blowback). So while they might be moving towards a conflict, they’d better have found enough info to deal with that at the end. Sherri, on the other hand, believes that Mutant City Blues shows how you can investigate in an irrational world. It offers a structure to “play fair” in a setting of bizarre powers. The Quade Diagram presents an interactive tool for that. Trail of Cthulhu asks you to learn about the Mythos and the nature of the creatures you might face, The Gaean Reach slowly reveals the path to the villain, and Night’s Black Agents is about figuring out who and what your enemies actually are. What other kinds of information could be structured this way? Imagine a Ninja or Assassin’s Creed style game where the players have to gather intelligence in order to strike at a target (a riff I’ve done with Neo Shinobi Vendetta at cons). Or a diplomatic/trader style game, where characters have to learn about local cultures or power networks? Or a version of White Wolf’s Hunter the Reckoning, with the characters uncovering the World of Darkness? In our Apocalypse World GM Jam, the participants described the toolbox nature of that game. Apocalypse World includes many features, systems, and modules. It provides an array of mechanics. But GMs of AW don’t necessarily use everything there. And games built on it don’t either. These can focus on different elements: so some powered by AW games include Fronts, some include heavy conflict resolution, some include social moves. In the same way we can look at the various pieces of GUMSHOE. They’re rich and elaborated, but we can pull out elements to fit our game’s theme. I’d say the two big modules are Investigative Abilities and Resource-Driven Abilities. The former, in the form of choice of abilities and application, shapes the flow of information. The latter can ratchet tension through scarcity, add dynamic bonuses (cherries, MoS), and show competency. Beyond that we have a host of other interesting sub-systems to tweak (how to structure investigations, handling unusual powers, contest-based ship fighting, corruption/ insanity). 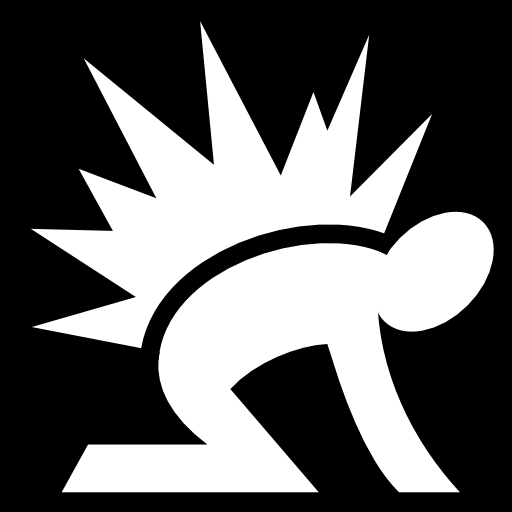 Each version of GUMSHOE reconfigures some mechanics to fit the theme (like grenades, abilities functions). They also bring new elements to the table. I think gamers and designers ought to be looking at GUMSHOE as a set of tools which they can make use of in other ways. In the podcast we don’t mention the existence of Open GUMSHOE. Pelgrane released both a CC and OGL version of that. We’ve seen at least one product come out under that license (Against the Unknown). As well at others are on the horizon, like Ken Hite’s Bubblegumshoe (Teen Sleuths & Drama) and Cam Banks’ “Magic Shoe” (mixing Ars Magica and GUMSHOE). I’m hoping we see more designers playing with these tools and elements. For example, mixing GUMSHOE with particular historical periods feels obvious (Tokugawa Japan, Ancient Rome, Medieval England) given the abundance of detective fiction aimed at that. Alternately something which echoes the replicant hunting of Blade Runner or the deep paranoia of 1984 could be great. I’ve talked about this last one before, mixing evidence gathering with political reputation and scapegoating. On a slightly related note, Play on Target has been nominated for the Golden Geeks for Best Podcast. I’m under no illusions about winning, given the excellence of the competition (K&RTAS!). 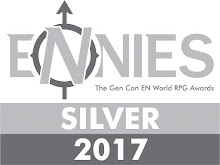 But if you have a BGG/RPGGeek/VideoGame Geek account, consider going over there and voting. It would be great to get more voices and perspectives for the various RPG Items like Game of the Year and Best Supplement. There are some great choices there (and oddly some not yet released Kickstarters). Anyway take a look! I’m crowd-sourcing for advice and suggestions. I'd tossed together a GM Prep Survey focusing on session prep. That got enough responses I had to drop some cash on SurveyMonkey to get at all the data. Since that sub lasts a month (28 days in this case), I figured I should get at least one more use out of it. Several people pointed out gaps in the Session Prep Survey (i.e. what specific game they were running). Some mentioned how they frontloaded prep for campaigns. So I thought I should do a parallel one and get feedback on questions before posting them. This is aimed to be rough and illustrative. I’m not doing controls. Instead it's more about curiosity and thick description. I’m thinking I’ll ask the same set of questions about two or three campaigns the GM has run. I’m considering campaign prep as everything done before the first session of play (be that a cc session or AP).They should pick the most recent, most important, or most long-lasting. Or should I stick to most recent. With campaign defined as 4+ sessions? 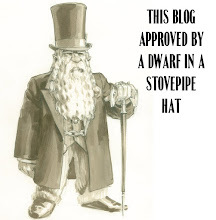 Did you use a published setting, a homebrew setting, or some mix of the two? Did you run online or f2f? How often did your group meet? How long was the average session? How many players did you have on average? About how many sessions did you run for? Was that more or less than you expected when you prepared the campaign? Did you have what you’d call a “finale”? Roughly how many hours would you say you spent on campaign preparation? I think given the number of questions, I’ll probably just ask for the last two campaigns. What do you think? What else should I ask? While I’m mostly rpg inclined, I like other kinds of games. In particular I used to be fairly into Miniatures Games. I did Warhammer 40K from Rogue Trader on, original Chainmail, Napoleonics, Franco-Prussian War, ACW, American Revolution, Necromunda, Man O’ War, Piquet, Heavy Gear, and others. I should note this: much like board and CCG games, I am terrible at miniatures game. I enjoy playing them, but my brain doesn’t wrapped around it. So while enjoyable, they form a minor part of my gaming. 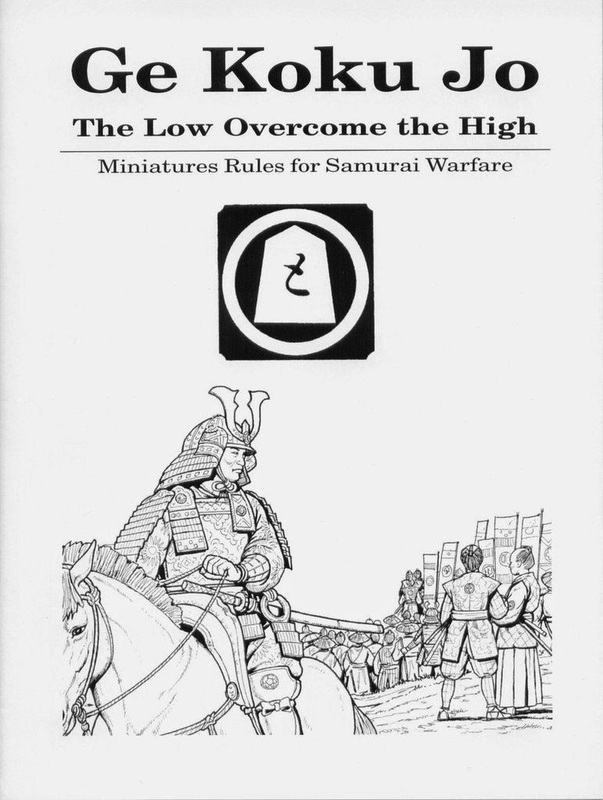 Despite that I wrote and self-published a set of samurai miniatures rules that I demo’d at various conventions, Ge Koku Jo. (I still have many copies if anyone wants one). 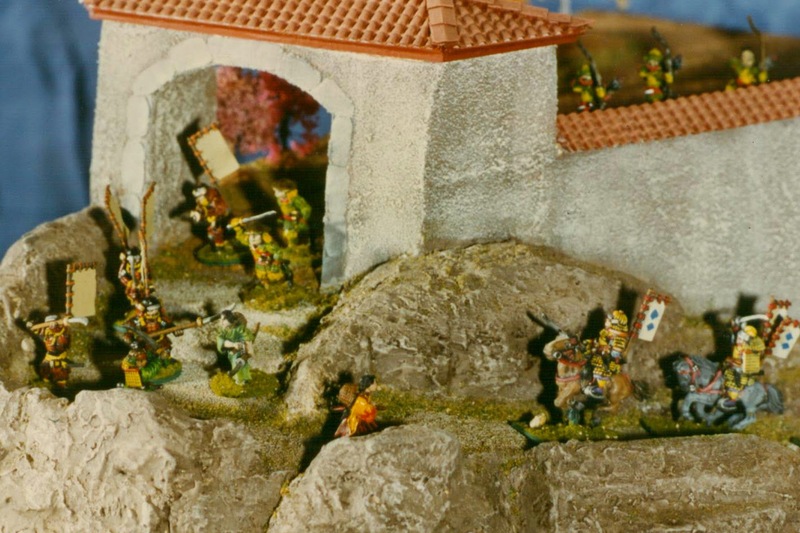 GKJ offered a simple and fast set of ahistorical skirmish rules, based on Brother Against Brother (which I also worked on). Several handfuls of figures, running around in a disorderly way, and slowly getting whittled down. I’ve always prefer mini games without set formations- loose groupings. WHFB and much of the historical stuff could be fun, but eventually wore me out. When the French figure line Confrontation first appeared at my FLGS, we bought it because the awesome figures. Great models, dynamic poses, and unique designs. Eventually we acquired enough that I started wondering how to play. Rackham's first English-language rules were bad. They desperately needed an editor who understood rules. Eventually we got Confrontation 3.0, a solid set of rules that still needed an editor with a better grasp of English and technical writing. Then Rackham switched over to plastics, alienated local stores, gutted the rules, and went bankrupt. So Confrontation 3.5’s my favorite set of mini rules. And I also love samurai gaming. And I also love the Legend of the Five Rings setting. I’m running a campaign of that using Action Cards right now. I’ve been thinking that eventually I might want to do a big set piece battle, which made me pull this material out. This is a set of scattered notes on how you might adapt Confrontation to do a L5R skirmish game. It’s more involved than Ge Koku Jo or Osprey’s Ronin. It perhaps tries too hard to borrow from Clan War's ideas, especially with tactical cards. What’s here is incomplete, but could be played as a generic samurai version. I wrote this several years ago, but still haven’t played it. I plan to fix that this year. Everything here is rough, rough, rough- but feedback's welcomed. I'm posting this for the incredibly tiny population for whom this might be interesting and/or useful. Ashigaru: profile based on sword. Yari: +1 INI -1 ST; Naginata: -1 INI and +1 ST mod. Sohei: profile based on sword. Yari: +1 INI -1 ST; Naginata: -1 INI and +1 ST mod. Fanaticism. Sohei Archers: Bow 20/40/60 ST4. Fanaticism. Samurai: profile based on sword. Yari: +1 INI -1 ST; Naginata: -1 INI and +1 ST mod. Can have bow if sword armed for +8 points. Aim 4 Bow 20/40/60 ST 6. Master Strike/0; Bravery, Fanaticism, War Fury. Veteran Samurai: profile based on sword. Yari: +1 INI -1 ST; Naginata: -1 INI and +1 ST mod. Can have bow if sword armed for +8 points. Aim 4 Bow 20/40/60 ST 6. Master Strike/1; Bravery, Fanaticism, War Fury. Samurai Cavalry: profile based on sword. Yari: +1 INI -1 ST; Naginata: -1 INI and +1 ST mod. Can have bow if sword armed for +8 points. Aim 4 Bow 20/40/60 ST 6. Bravery, Fanaticism, Master Strike/0, War Horse. Charging Strength is +3. Ronin: Profile based on sword. Yari: +1 INI -1 ST; Naginata: -1 INI and +1 ST mod. War Fury, Brutal. Shugenja: Warrior Mage, Initiate, Cure/5. Power/Potential 2/2. Choice of one elemental path. Monk: Consciousness, Dodge, Ambidextrous. Choice of Kiho to Equip. Kihos use DIS check to activate. One Kiho per Monk. Scout: Harassment, Scout. Bow 10/20/30 ST3. Ninja: Scout, Assassin, Dodge, Disengagement/6. Allows use of Ninja tactical cards. Pursuit moves made by the Ninja may use full movement if movement takes them away from targets. Yojimbo: Bravery, Consciousness, Counter-Attack, Duelist/1, Master Strike/0. 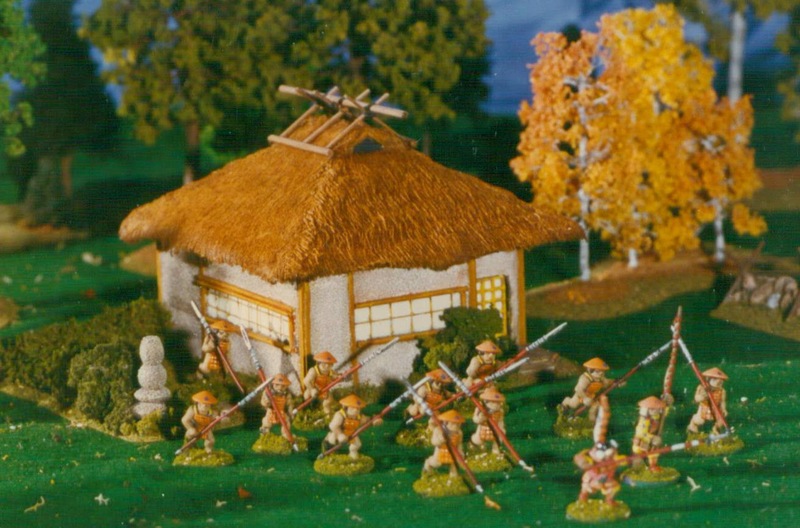 A Yojimbo may intervene and accept a duel for another model within 10cm. If the Yojimbo loses the duel, both he and the original target are dishonored. Confrontation has a system for classifying units, but that doesn't come much into play-- there's no restrictions with the exception of # of models and characters per 100. For the purposes of this system we'll break things down into two sets of indicators: type and class. Type has three categories: regular troops, elite models, and named characters. In reverse order, named characters are obvious- they can be challenged and issue challenges. Elite models include Yojimbo, Ninja, Monk, Shugenja, and Gunso; they are also one model per card. These models may be challenged, but may not issue challenges. Everything else is considered regular and may not be challenged or issue challenges. They are up to three figures per card. Unless otherwise noted, Clan Specialty units are regular. The class breakdown only affects Named Characters and Elites: Bushi or Non-Bushi. This is for determining the effects of declining a challenge. Unless otherwise noted or affected by a tactical card, a challenge by a member of one class may be declined by a member of the other class without dishonor. The only requirement in this case is that the declining unit fall back. For this we're only considering the seven major clans (leaving aside Unaligned, Toturi's Army, Yoritomo's Alliance, and the Naga for the moment). Shadowlands will be dealt with separately. To keep things simple to start, each clan has five named characters as well as five specialty unit types. 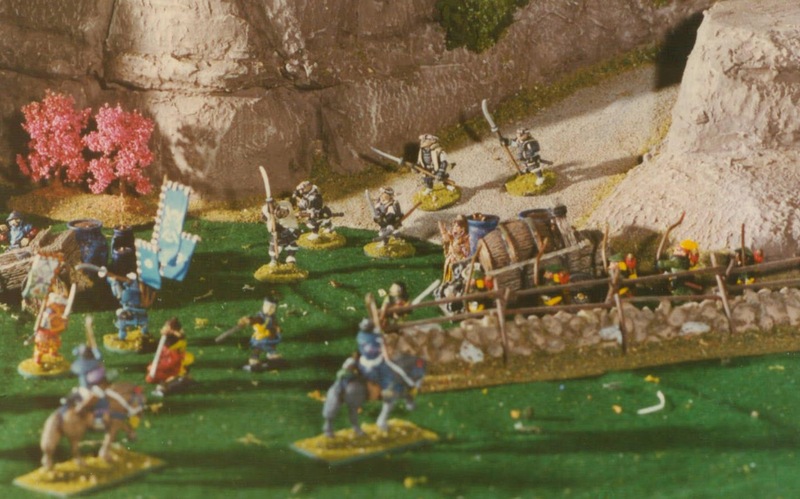 This is still a skirmish game, so players can pick and choose what they want, with the usual restrictions on number of models and characters per 100 points. Character models (including Gunso and Shugenja) may challenge another character to a duel. If challenging within the same class-- i.e. Samurai types vs. Samurai or Shugenja vs. Shugenja-- then the targeted model may decline, but will be dishonored. Dishonored models suffer a minus -1 penalty, as if having taken a Light Wound. They must also immediately fall back a full move away from the personality who issued the challenge. If the model who declined has the Leadership ability, they may no longer use it for the rest of the battle. If a model is challenged outside of their class-- i.e. Samurai vs. Shugenja or Monk, etc, then the target may decline without being dishonored, but must fall back their standard move away from the challenger. A duel challenge may be issued on a model's activation, and may be issued to a legal target within 20cm. The challenger may make a normal move before challenging, but cannot cast spells, fire, charge or run before issuing a challenge. The target must be within the challenger's line of sight. If the duel is declined, the challenger may make a standard move (not run) but may not charge or engage a model. Dueling is a contest of INI between two models (Shugenja's operate a little differently and I'll come to that). The challenged model has the first choice of Focus or Strike. If the challenged model focuses, then he may add an additional die to his roll in the contest. The challenger then has the option to focus or strike. This continues, until either one model chooses to strike or each model has focused the maximum of three times. Both duelists roll one die + INI + one additional die for each Focus action they took. Any dice which come up ones are ignored and not added in. The results are compared and the winner is the duelist with the highest result. The loser takes a wound with ST equal to twice the difference of the rolls. The minimum wound which may be dealt is a Light Wound. In the case of a tie, both combatants take a wound equal to the average ST of the two combatants. The loser of a duel must fall back a distance equal to their move and make a DIS or be routed. If the loser had not yet activated this turn, they may attempt to rally on their action, but that is the only action they may take. In the case of a tie, both parties are considered losers. Shugenja may duel using their INI or their POW. If a shugenja has unspent mana, he may spend mana to raise his POW for purposes of a duel, at a rate of one for +1. At most he can double his POW. In the case of a tie use the Shugenja's temp POW to determine damage. If a personality wins a duel against a target of either greater point cost or no more than 10% lower, he gains a +1 to his next Attack and Defense roll. Certain traits assist in a duel. If a character has the Fencer or Fine Blade ability he may add plus one to the final results of a duel. The new ability Duelist/X allows a play to add a bonus to his dueling test equal to X. Additional, a duelist may reroll one of his dice in a duel. Certain personalities have the ability Tactician/X. This allows that model to purchase special tactical advantages before the game begins. The most tactical cards a Tactician may have is equal to X. There are three types of tactical cards: Action, Reaction, and Terrain. Terrain cards are played at the start of the game-- only one terrain may be in effect on a battlefield. Terrain cards represent a leader's ability to control where and when a battle is being fought. If more than one commander attempts to play a terrain card, the winner of a DIS (plus their Tactician value) contest may play theirs and the opponent's is discarded. Action cards are played when a leader activates and affect listed unit or units for that turn only. Some affects require a DIS+Tactician test to activate. If this roll is failed, discard the card without effect. A leader may not be engaged when activating a tactical card and may not charge on the same round. Reaction cards interrupt and affect specific events. They may not be used if the leader is engaged in combat. All reaction cards require a DIS+Tactician test to activate. Fog- first turn no ranged attacks? Temporarily granting a particular ability-- up tosix versions of this would give 20 cards. OK, forty listed above-- assuming four per clan, plus twelve generic. Since ability grant is open ended, can cut a few of these out of here. Should again be a pool of general items for them to pick from. Also each clan would have like three items specific to them. In the case of the Dragon, these would include tattoos. Need to balance out having more items with a reduction elsewhere-- perhaps in the tactical cards or access to generic items. Ideas for generic items: Mempo of Fear, Armor of Various Types-- in most cases granting abilities, Ancestral Swords-- as Fine Weapon plus some. Items for tackling Shadowlands (Crystal Katana, Jade Bow). One shot ranged attacks (ala Shuriken of serpents). Various Clan bits-- Jade Stones for Crab, Nageteppo for Scorpion, etc. Each has a basic profile. That profile assumes a sword. Modifers based on the other types of weapons: Yari or Naginata (IN+, ST-, +vCav or IN-, ST+). No-Dachi can be bought as an item for a character. Samurai can be bowmen if the player pays a # of extra points? Each clan then has a half-dozen characters, at least two shugenja, one misc, and three warriors (in rising levels of cost). A few unaligned type characters as well (mercenary). Each should also have four special units. Tactician cards are prepurchased effects. There should be like 8-12 basic ones, and maybe 4-6 per clan. *Basic spells in the five elements-- should be in part adaptable from the Confrontation spell list.